Leaving where we left off from chapter 1, Rena was going to give the finishing blow to Jinshi to knock him out when suddenly a young man came crashing down upon her. The boy is assumed to be a demiwarrior due to circumstances, leading Rena to believe he is an enemy. 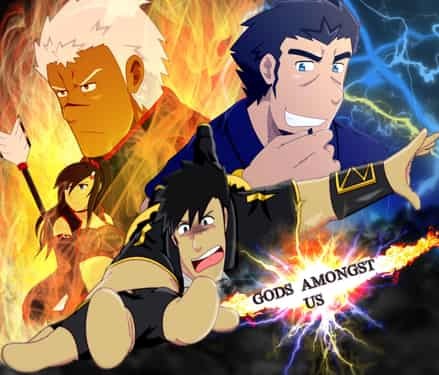 The events lead to more drastic measures when the boy's god appears, causing Ares to go mad. What will happen from here on out?